- Color wave doppler: simply generates color over a moving object (blue if moving away from the transducer and red if moving towards the transducer or mix if turbulent flow) it is mainly used to "map" vessels and determine direction of flow. - Pulsed wave doppler: generates pulses of doppler in a small gate chosen in the color doppler mode to furthermore examine the velocity of flow throughtout the cardiac cycle. 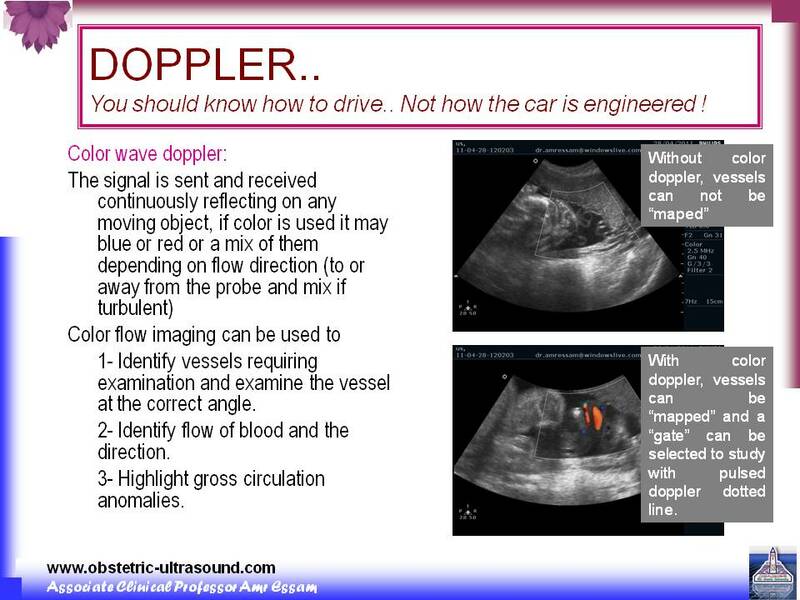 How to describe doppler study? •Comment on Doppler studies of flow can be described by waveform pattern e.g. 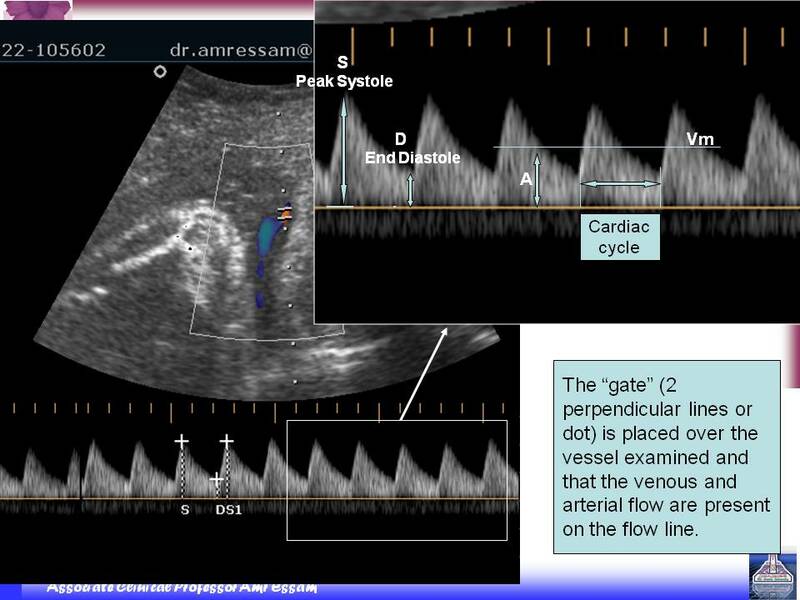 preserved/ absent/ or reversed end diastolic flow, diastolic notch..etc. Why we use ratio (indices) rather than absolute figures of velocity (distance/time)? What components of fetal circulation can be examined? 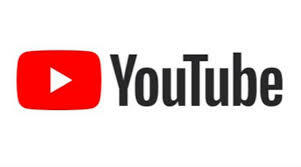 - Flow velocity waveforms from the umbilical cord have a characteristic saw-tooth appearance of arterial flow in one direction and continuous umbilical venous blood flow in the other. 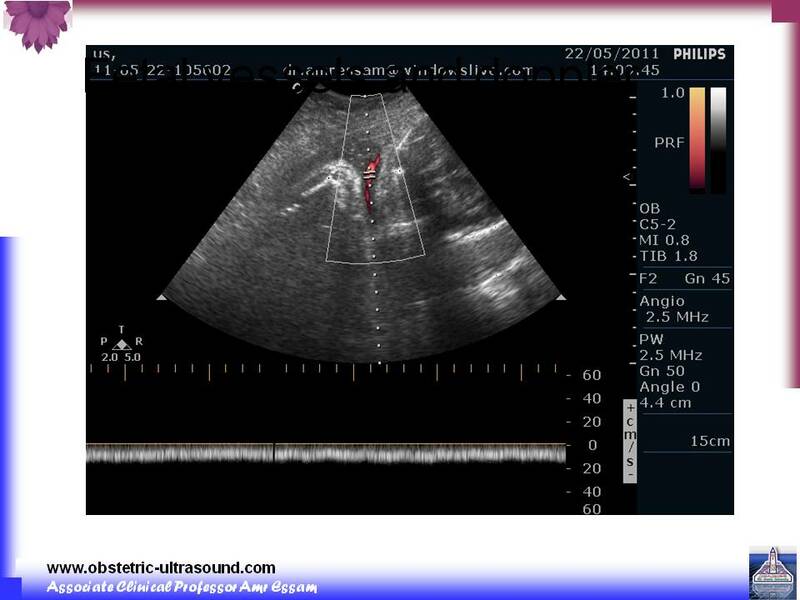 - Color wave doppler is used to demonstrate presence of 2 arteries and one vein in the umbilical cord. - Pulsed wave doppler is used to demonstrate that blood is flowing in the umbilical artery both during systole and diastole. 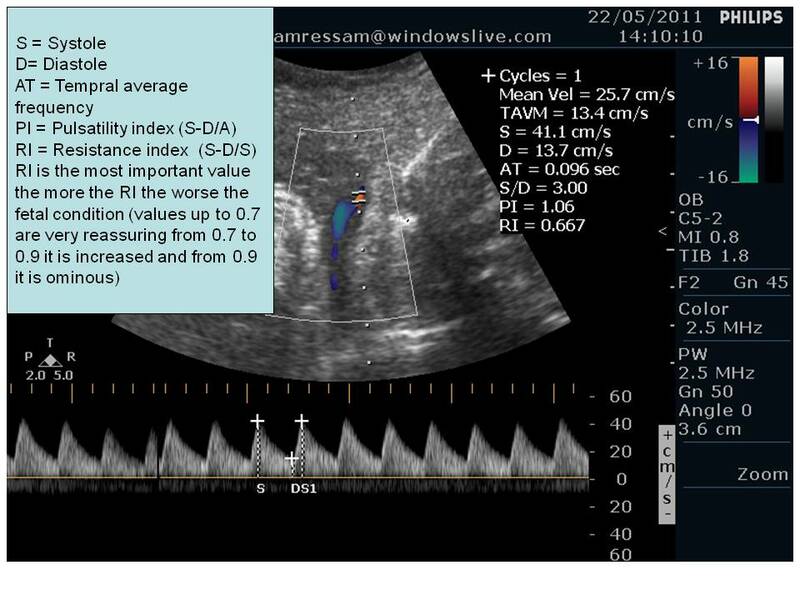 - Indices are used to demonstrate normal quantified values of resistance to flow (in the placental bed) which is the resistance index (more important in umbilical arteries than PI or S/D). - Pulsed wave doppler and indices from the thoracic aorta are used to demonstrate quantified values of PI and RI to flow from abdominal organs (Placental bed resistance affects the abdominal aorta). 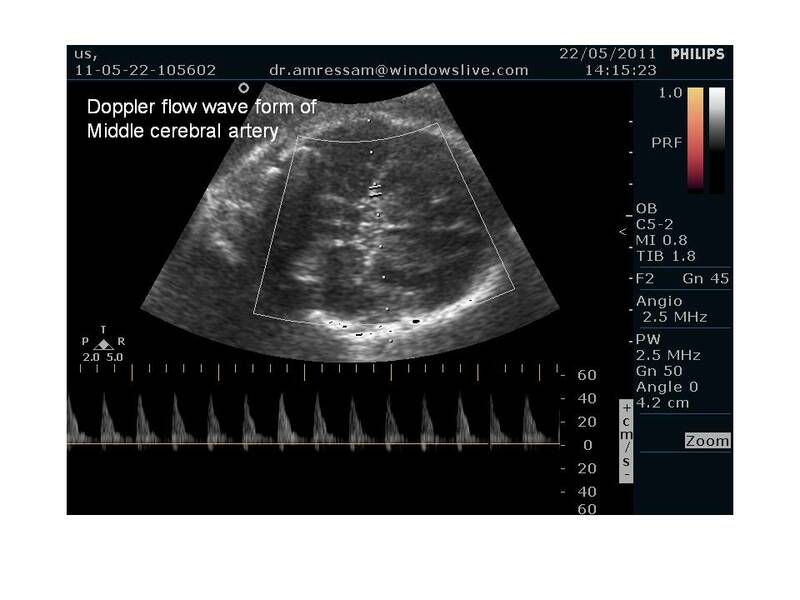 - Color wave doppler is used to identify the the middle cerebral artery can be seen as a major lateral branch of the circle of Willis, running anterolaterally at the borderline between the anterior and the middle cerebral fossae in transverse view of the fetal brain at the level of the biparietal diameter. -Pulsed wave Doppler is used to obtain flow velocity waveforms. (care should be taken to apply minimal pressure to the maternal abdomen with the transducer, as fetal head compression is associated with alterations of intracranial arterial waveforms). - RI of MCA decreases in cases of asymmetrical FGR, this signifies redistribution of fetal circulation in favor of the brain. Generally RI of UA/RI of MCA is normally less than 1, in cases of asymmetrical FGR with brain sparing it is > 1. 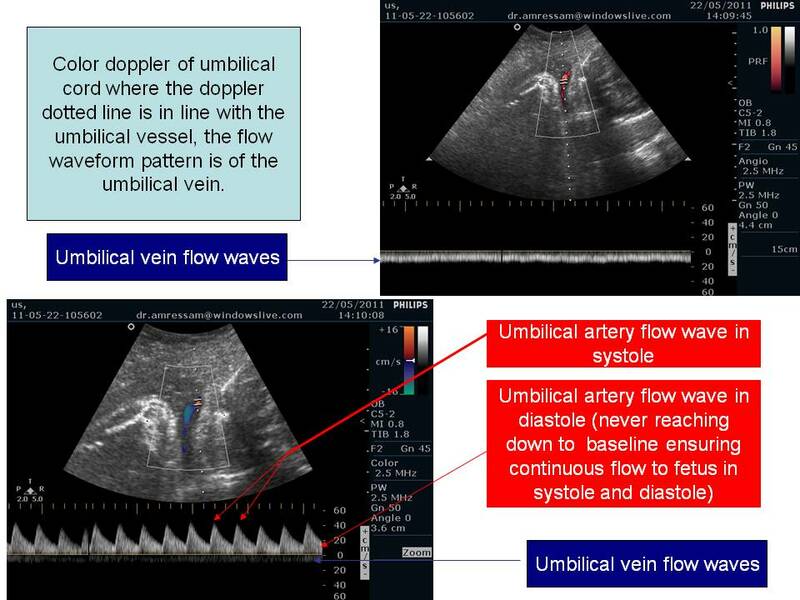 The normal flow in the umbilical vein is continuous as seen in the figures above, in cases of insreased resistance to flow the flow in the UV becomes pulsatile. 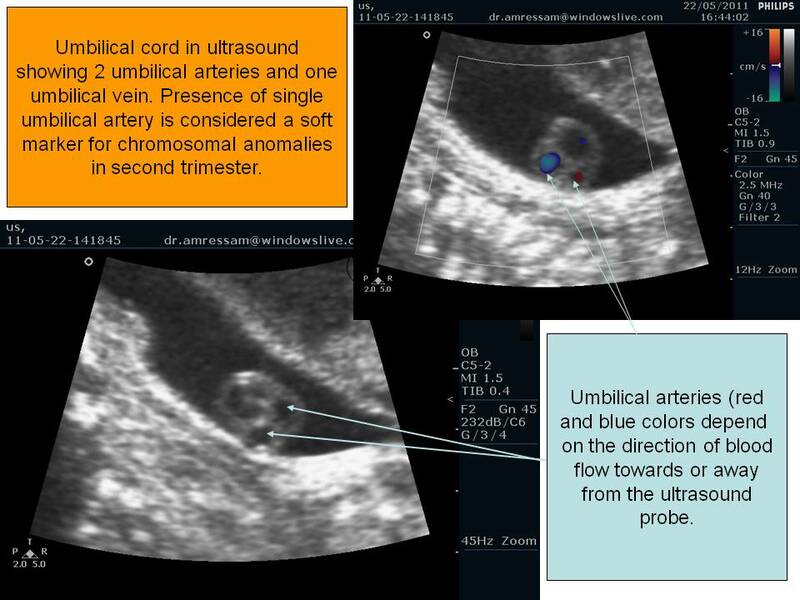 - Color wave doppler is used to identify the ductus venosus; In an oblique transverse section through the upper abdomen, its origin from the umbilical vein can be found where color Doppler indicates high velocities compared to the umbilical vein, and sometimes this produces an aliasing effect (turbulent flow color with mix of red and blue). Doppler studies aim to identify these changes in fetal circulation. So what is the sequence of events in cases of fetal distress? •Ductus venosus shows a reduced ‘a’ wave and later reverse ‘a’ wave.